Starting from Rs. 1800/- for 10 Kraft Notebooks. Every individual has a creative part of the brain and every positive crazy idea is worth capturing. PrintStop's quirky and earthy kraft notebooks not only help to jot down these ideas but also motivate the creative brain cells to think out of the box. 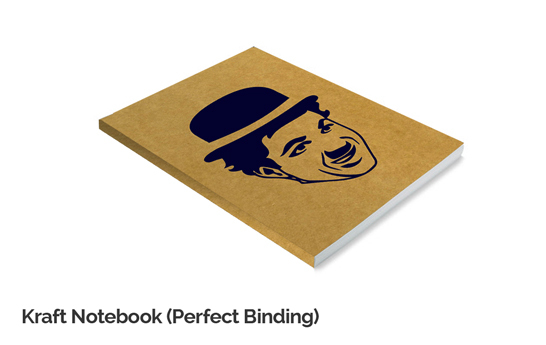 Even if it is to just scribble your notes, the elegant kraft notebooks make the activity more fun! While being a cool thing to carry around, they will also add a touch of sophistication to your belongings. 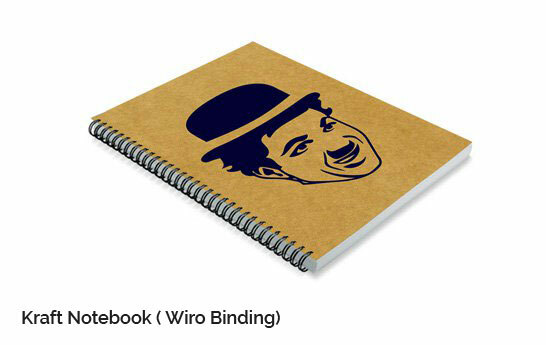 Kraft Notebooks also form an excellent gifting option. Whether it is for your employees, clients or a return gift, they will be welcomed by all! You can get started by uploading your own design, or opting from the wide range of our ready to order design templates. You can order as less as 10 kraft notebooks in an order.